I'm Ed Smith, a personal injury lawyer in Sacramento. Cranes play an essential and irreplaceable role in the construction and manufacturing industries. The history of cranes dates back to the 6th century when the ancient Greeks used manually operated and powered machines to lift heavy loads while constructing large structures. Modern-day cranes are faster, lighter, safer, and much easier to operate. They also have a wide range of functionality and can perform a variety of different tasks. The unfortunate fact, however, is that despite the development of safety technologies and the increased emphasis on crane operation training, crane accidents continue to happen even today with alarming regularity. Many issues need to be addressed about the safety of crane operators as well as the people who work with cranes. Data from the US Bureau of Labor Statistics shows that four types of cranes are most often involved in fatal accidents – mobile cranes, overhead cranes, truck mounted cranes, and rail mounted cranes. 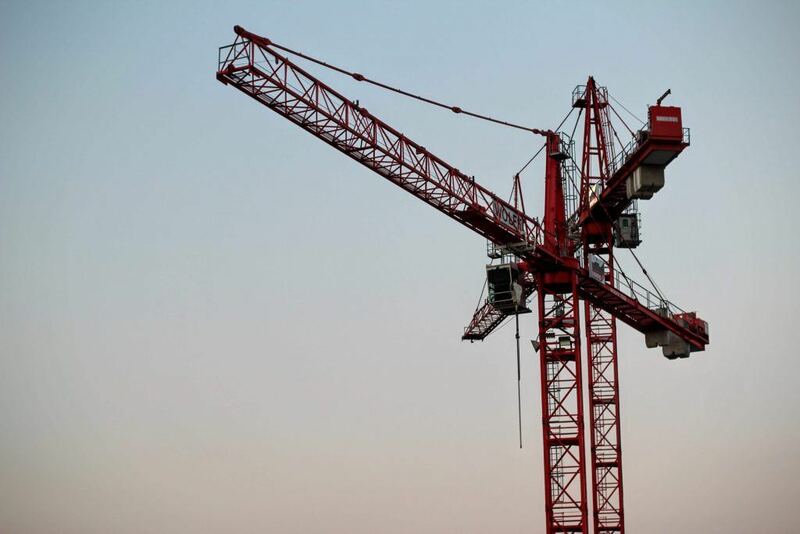 The people who are most often involved in crane-related fatalities are construction laborers, electricians, cutters, welders, brazers, and solderers. Crane and tower operators, in comparison, are only involved in a small percentage of fatalities. Most crane accidents can be broadly divided into two categories – accidents where the crane or boom comes into contact with a power line and accidents where people are struck or crushed by a dropped load, boom collapse, or crane collapse. Crane operators and the people who work near cranes face many hazards at the work site. Understanding the nature of these hazards can make it easier to develop safety measures that can reduce the overall risk of crane accidents. Power Line Contact: This is the single biggest reason behind most crane accidents. Cranes are huge in size and have a significant working radius. So, they are more likely to come into contact with overhead power lines than any other heavy machinery used in construction and manufacturing sites. When it happens, people in the vicinity, especially if they happen to be touching the crane, can get electrocuted. In most cases, a single contact with a high-voltage power line results in multiple injuries and fatalities. Excessive Loads: Even the largest of cranes have a maximum load capacity, exceeding which they are prone to tip over or collapse under the sheer weight of the load. When it happens, the people who are working close to the crane tend to get severely injured or crushed to death. Inadequate Support Equipment: Failure to employ out-rigging systems and counterweights while lifting heavy loads or disassembling the crane could lead to structural failure or cause the crane to tip over and collapse. If outriggers are not used while extending, lifting, swinging, or lowering the boom, the crane could easily overturn. Similarly, if the boom is not adequately supported while disassembling the crane, it could collapse and crush people nearby. Lack of Ground Preparation: Cranes, just like any other heavy mobile equipment, can be operated safely only on a solid, stable surface. Operating a crane on a slant as it would be on a hill or slope or soft ground can easily cause it tip over. Low Visibility: Safety in crane operation depends to a great extent on the operator’s ability to notice and avoid potential hazards. If he or she is not able to do so, the risk of accidents increases significantly. For instance, if the operator is not able to see the load, the boom tip and the hook might come into contact with each other, and the load might get dropped. Similarly, if the operator’s vision is obstructed while rotating the superstructure, he or she might not be able to see the workers who are caught in what is called a pinch point – the area between the superstructure and a stationary object. In such cases, if the operator rotates the superstructure, the worker who is in the pinch point might get crushed to death. The 2010 OSHA standard addresses the safety issues related to cranes on construction sites, including what are widely considered the most common causes of injuries and fatalities – electrocution, struck or crushed by the load or equipment, and falls. Each part of the crane must be inspected thoroughly before erection. Synthetic slings must be used while assembling and disassembling the crane. Ground conditions must be assessed before an operation. Crane operators need to be trained, qualified, and certified. Safety procedures must be followed while working close to power lines. Employers should make sure they are in compliance with the crane operator licensing requirements at the local level and state level. The operator should pass a written certification test in any language that he or she is comfortable with. Employers should hire a qualified rigger to take charge of the rigging operations while assembling and disassembling the crane. Employers must make sure the tower cranes are inspected before erection. Employers must bear the expenses for the training and certification of operators. The safety and health standards at the state level must be stricter or at the very least as effective as the standards at the federal level. Watch YouTube Video - Crane Safety: Prevent Electrocutions - Work Safely with Cranes Near Power Lines. This safety video, created by OSHA, provides tips on how to operate the crane properly near power lines to prevent electrocutions. The person who operates the crane must be adequately trained and qualified. The crane must be carefully inspected by qualified personnel before an operation. The crane must only be operated on a solid, stable surface and must also be leveled before an operation. While assembling or disassembling the crane, pins should be removed only if the sections are securely blocked. The outriggers must be fully extended, and the areas that come under the crane’s operating radius must be barricaded. The operator must maintain a distance of at least 10 feet from power lines while the crane is in motion. A thorough examination of the rigging is absolutely essential before the operation. The maximum load capacity of the crane should not be exceeded under any circumstances. Before delivering the load, the operator should raise it a few inches from the ground, make sure the crane is stable and well balanced, and check if the brakes are working correctly. The operator should not move loads if there are workers directly underneath. All the signals and manufacturer’s instructions should be followed at all the time. I’m Ed Smith, a personal injury lawyer in Sacramento. If you or someone you love has been injured in a crane accident, call me at (800) 404-5400 or 916.921.6400 for free, friendly advice. To learn more about our accomplishments in personal injury cases, check out some of the verdicts and settlements. Take a minute to review the ratings we have received from some of our clients on Google, Yelp, and Avvo.